IRON MOUNTAIN — With the heat of the summer among us, there’s no better thing to do than spending time outside. It’s a great chance to enjoy the warm weather, get some fresh air, and more. The staff at Northern RV in Quinnesec encourage the public to spend time in the great outdoors, even with all of the amenities at home. It’s a type of trip that can benefit the whole family. “You’re spending time in closer quarters as a family; you’re learning how to get along, while also teaching your kids about the outdoors, about nature, and how to build a fire, how to roast a marshmallow. Some things that are lacking in today’s society,” said Northern RV General Manager Eli Ward. 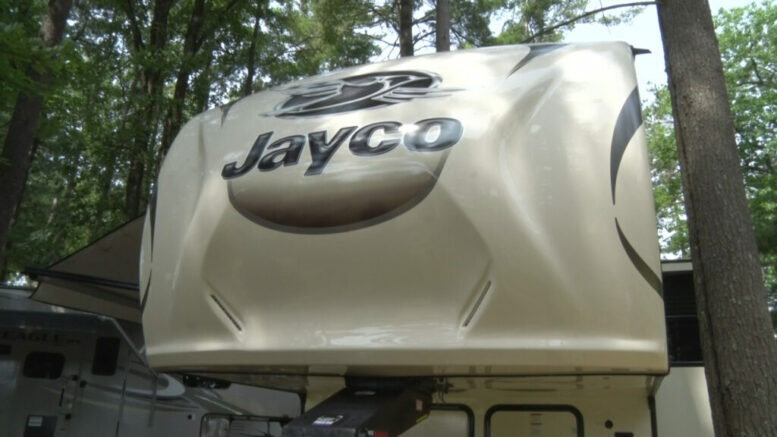 RV camping gives your family a chance to have a sort of staycation. It provides an opportunity to get away, all while being able to stay at home, go to work, and more.